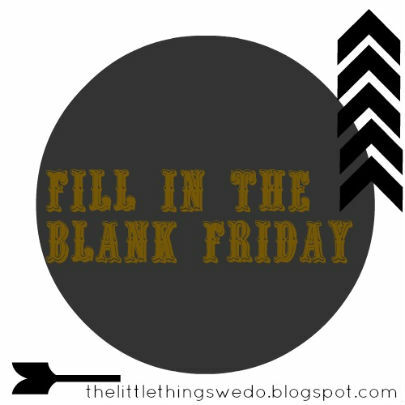 This week's post for my Fill in the Blank Friday series. 1. My best quality is that I'm fiercely loyal, but I limit my loyalty to people and things that matter in my life. 2. One of my less flattering qualities is that I'm too full of empathy. Empathy is the power of identifying, understanding, and imaginatively entering into another person's situation, feelings, and motives. I guess I'm too full of imagination so some people get turned off. 3. I'd rather be singing than be sighing. I remember this line from a church hymn. 4. Something I have been challenged with lately is to take it easy and don't stress myself about how-difficult-it-is-to-get-pregnant. I gotta believe all is in God's good hands and timing. 6. A super random factoid about me is I have my first taste of beer and vodka when I was 28 years old. 7. I want to make a blueberry cheesecake and roast a chicken with vegetables and herbs! Re. No. 5...Make it a sweet, romantic and memorable one!